How to take care of your cloth pads during the seasonal showers. 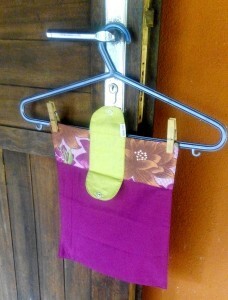 Home » How to take care of your cloth pads during the seasonal showers. In India, who doesn’t love a good shower of rain? 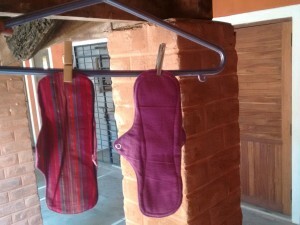 But we understand that it poses a challenge to using cloth pads as we recommend drying them under the sun or in the open. Here are a couple of suggestions and practical tips that can help in the process of continuing to use cloth pads during the monsoon rains. These tips might also be useful in places like Europe where there is more rain and less sun. After you hand/machine wash your pads, squeeze the water out and lay them flat face down on paper (ideally recycled paper), the paper absorbs the moisture which helps the pads to dry quicker indoors. Newspaper isn’t ideal as the ink can contain lead but if this is your only option, we recommend a lead-free newspaper (like The Hindu, in India). 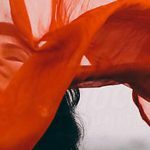 Another trick that I have heard from a couple of friends is to use a blow dryer/hair dryer (which many of you in India may have tried at some point for your clothes in monsoon!!) to make sure the inner layers are dry. Some of my colleagues also suggested wrapping the pads in a clean, dry towel or cloth and then to roll and twist the pad. 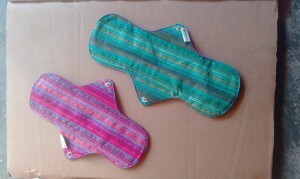 This squeezes the water out and allows the pads to dry quicker. Though we suggest drying in the sun as the very best way to dry your pads, you can also dry them in a place where there is light and circulation of air, like we dry the rest of our clothes during the monsoon. This could be a covered balcony or at a window or indoors, under a fan. If you feel that your cloth pads are starting to smell as they have not been exposed enough to the sun, add a few drops of essential oil or vinegar to the water you soak your pads in. This neutralises smell and vinegar also helps keep your pads soft. Personally, I add a few drops of Eucalyptus oil when I soak my pads initially. Make sure you don’t use more than 2-3 drops and ensure the pads are washed out completely, otherwise it could sting. We also recommend to simply use a lighter pad where possible and just change a little more frequently, because lighter pads will dry faster. Eco Femme’s foldable pad that open up like a handkerchief and dries the most quickly of all our pads as well as being discrete in appearance. You can purchase these on our online shop. Finally, a menstrual cup can be a very useful in this weather as it doesn’t need drying. Some of the team use a cup with Eco Femme pantyliners as a back up/extra comfort. You can also find the Shecup on our online shop. 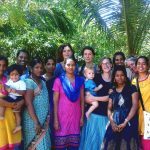 Eco Femme is a registered unit under Auroville Export Trust which operates as part of the Auroville Foundation. All trusts are recognised as non-profit, non-governmental organisations.